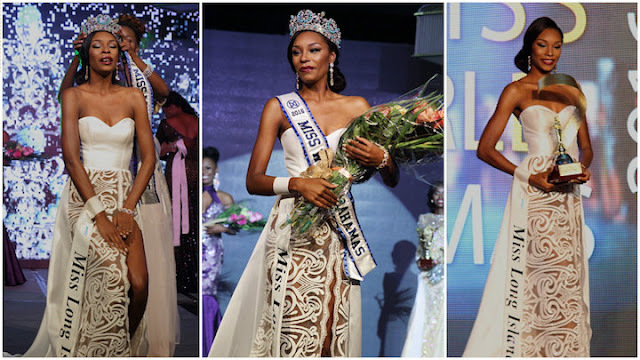 Ashley Hamilton (23) was recently crowned Miss World Bahamas 2016. She stands 1.85m tall and will represent the Bahamas at the 66th Miss World Pageant in December. The first runner-up was Pischia Adderley and the second runner-up was Rotalya Williams. Not really the Miss World look... too harsh. She's got to tone it down. Based upon her pictures, I would rather see her compete at Miss Universe. I love her posture and appearance in her gown... more exotic than pretty though! !